The current land use information for each lot in the State of Johor. 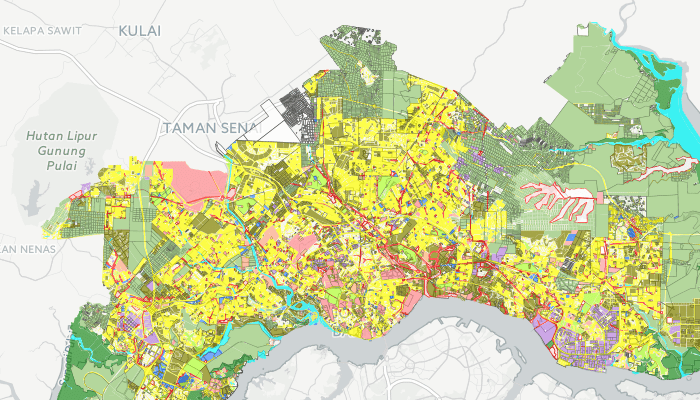 This map contains information on zoning and land use proposals, which have been set up based on development plans by districts in the State of Johor. 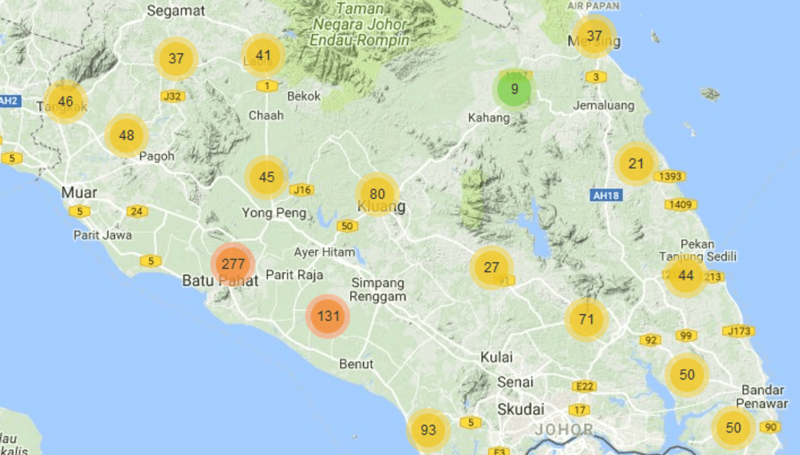 Health Facility Maps display health location information in the State of Johor. Educational Facilities Maps displays educational location information in the State of Johor. Map of Religious Facilities displaying religious location information in the State of Johor. Map of cemetery displays information on the location of Islamic cemetery, Chinese cemetery, Indian and Christian Cemetery in the State of Johor. 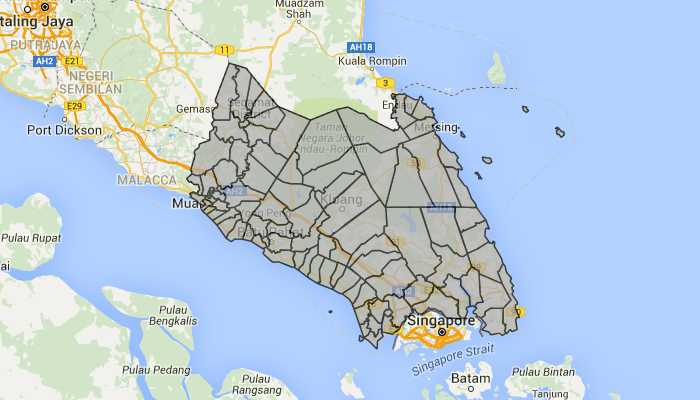 Recreational Maps display location for various recreational facilities in the State of Johor. This module presents a data layer for PLANMalaysia@Johor which contains current land use data, land use and charting information for planning permission application in the State of Johor. The module display locations for dams, underground water station, water stations, air stations river station and EIA report for 2009-2010. 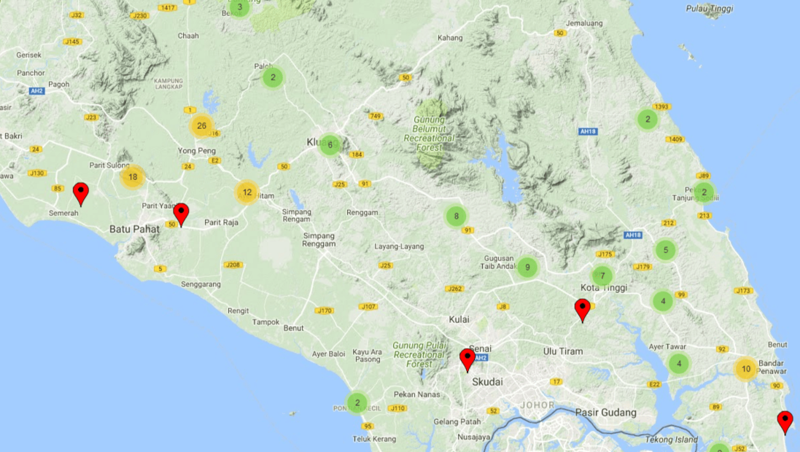 The modules display location for the flood siren stations dan telemetry ststions in the State of Johor. The modules display the location of the dam and the location of the quarry for the State of Johor. 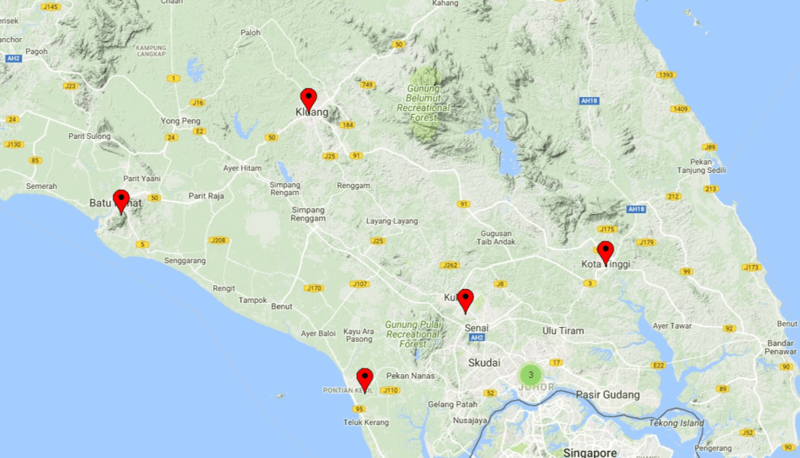 The module displays the location of hospitals in the State of Johor. 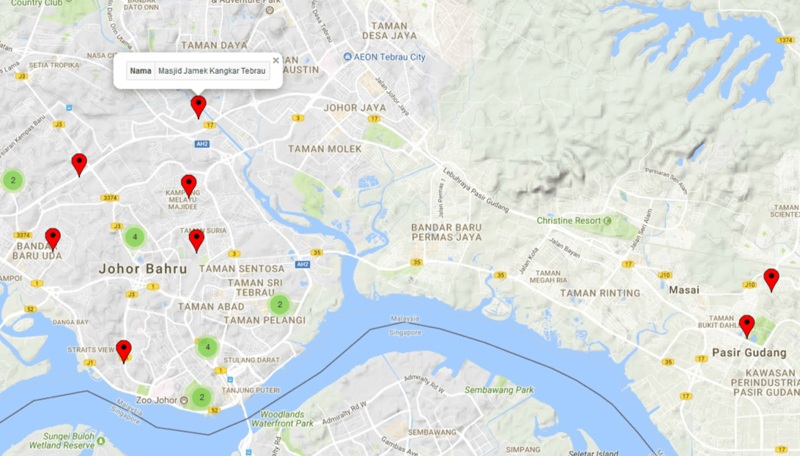 The Johor Religious Council module displays the location of the mosque in the state of Johor. The Departmental of Works Module displays state and federal bridge location information, road signage, length and type of culvert and state and federal ‘Post’ in the state of Johor. The Malaysia Royal Police Module displays the information and location the police stationin state of Johor. This module displays the location of agricultural projects and training centers in the state of Johor. The modul displays information on primary and secondary school locations in state of Johor. Modul Pihak Berkuasa Wilayah Pembangunan Iskandar. Copyright © 2017 PLAN Malaysia@Johor. DISCLAIMER:PLAN Malaysia@Johor will not be liable for any loss or damage to the information obtained through this portal. Please note. While various efforts have been taken into account by the Department in ensuring the validity of the data, all information displayed in GeoJohor is merely a reference. This information is not valid for any matter involving any transaction, legal or official use involving the State of Johor and Malaysia. Information is valid when it is issued by PLAN Malaysia @ Johor based on the Urban and Rural Planning Information Supply Method (Gazette 52 of No 26, Supplement No 15 of the Legislation on 18 December 2008). Other information other than PLAN Malaysia @ Johor is owned by the Department / Agency as stated. All authentication and possession of the information is subject to the ownership information of the Department / Agency's information. GeoJohor is a Johor Landuse Portal application developed by PLAN Malaysia@Johor. This application contains Spatial Database based on Geographic Information System (GIS) which collects data sources from various departments / agencies in the State of Johor. This application is a one stop center (One Stop Center) - Spatial Database for multi-party referrals whether public, private and academic sectors. It is also developed in line with the Johor State ICT Masterplan to improve the information access system to the public especially in relation to land use planning and to inculcate ICT in the administration of government.